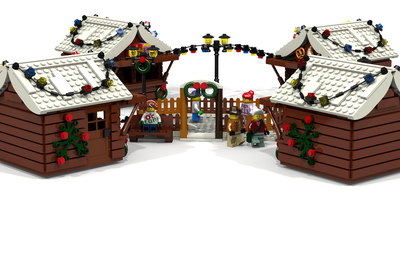 This project is for addition to the Winter Village series of sets that come out during the holiday season. While too late to make it for this year, maybe with enough support it can be considered for next holiday season! The Gingerbread House is based on the Winter Village Cottage. While very similar it will take advantage of using many of the new colors recently in sets. Also will be able to use the new brick pattern bricks and some other new elements as well. Main Minifigures can be a Gingerbread family. Mother, Father, and one child Minifigure. Some current patterns for accessories for the mother and child Minifigures can be used. 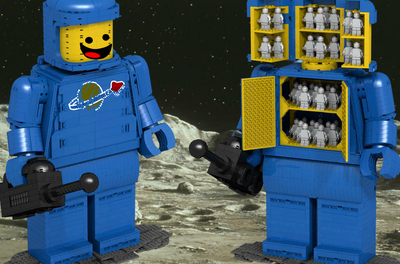 Additional minifigues can be added if needed. In this case, perhaps 2 elves making a snowman out front, or Abominable Snowman hiding in to the side, or just a friendly visitor. Father Ginger can relax by the fireplace in a bread chair, a holiday tree and presents can be included to further promote the holidays. Mom can be in the kitchen area baking, cookies or a pie. The upstairs single bedroom can be in this case the child's area with toys or other accessories.Along with this could be a light brick to highlight the decorations. All the decorations can be similar in color or a variety which will make this set one very colorful and festive sets. All which will fit right in for the time of year. As a LEGO set this will appeal to all genders and age ranges. Collectors and general builders. The amount of parts will be a great value for collectors and mass builders. 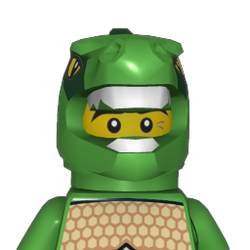 The Minifigures will also be unique to this set. Girls and Boys will all like this set, who doesn't like to decorate Gingerbread houses! From the candy cane roof trim to the gumdrop jewels all around the roof, and frosting galore! This will be a nice display from the front, and a dynamic playset from the back. 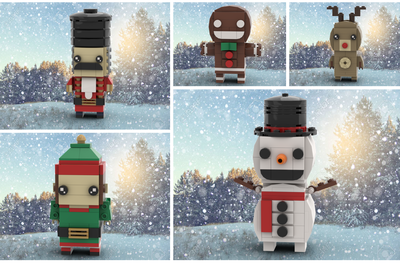 This holiday set can be included in the Winter village collection but also can be a single set all on its own.